The pilot episode titled, Moving, Motorcycles and Marching Bands, was written by Christopher Green, producer of Shadows and Daylight, gives an introduction to the series regulars and sets up the rest of the show with the backstory of the two lead characters move from their parents' homes. This episode features a cameo from the uber-talented Duane Riffenburgh, writer and actor for several seasons of Jonathan Park and one of the producers of the Creation Adventure Family series of programs. 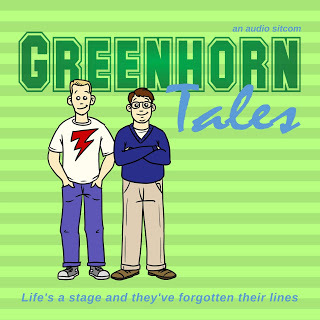 You can listen to the pilot, read character bios, and check out the crew members at greenhorntales.com. The pilot episode can be streamed or downloaded here.